The Detailed Remodel Cost Proposal is a printer-friendly, professional proposal that details the project work items and their associated labor, material and subcontractor costs that makeup the Total Remodel Cost Estimate. The Detailed Remodel Cost Proposal is a great report to show a client the detailed cost items that make up your Total Remodel Estimate . Present a detailed list of repairs, including quantities and unit costs for each work item included in your remodeling estimate. What is the remodel cost estimate detailed report? The remodel cost estimate detailed report is a printer-friendly report that summarizes the estimated repairs costs for the rehab project. 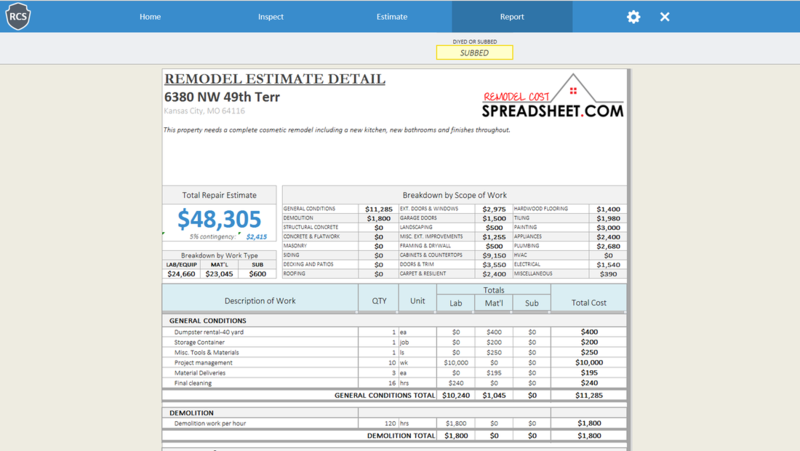 The remodel cost estimate detailed report pulls the work item descriptions, quantities, unit costs, and totals from the remodel cost estimator. 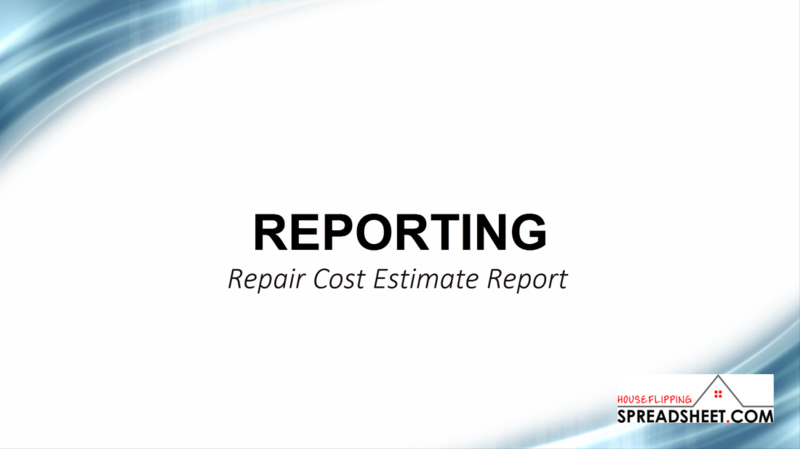 If you want to change any information on the report, you will need to change it on the Remodel Cost Estimator.